RANGOON — Community music center Gitameit’s brand new three-story building has just been finished. It sits with fresh concrete and sparkling glass right beside the center’s old, slightly ramshackle building in a small plot on a quiet road of Rangoon’s Yankin Township. Gitameit’s music library—a collection of records, tapes, CDs, scores, encyclopedias, and English language resources—will be moving from the cobwebbed eaves of the old building to a larger, purpose-built space on the top floor of the new structure. Below, a number of soundproofed practice rooms have been built. In the old building, sounds of traditional slide guitar, Burmese harp, and piano compete with one other as they escape through the teak floorboards and turquoise walls. Students of all ages from all over the country are schooled in traditional and western music at Gitameit. On the bottom of the new building is a large performance hall which was launched in February with a concert by Norwegian string trio Trondheim Solistene improvising with Gitameit students. The new building was largely funded by Norway’s Hedda Foundation. When The Irrawaddy visited last month, a group of students were sat in a circle excitedly analyzing a recent performance one of them had seen online. The seminar was part of a new “teaching artistry” certificate program recently launched by Gitameit in association with the University of Washington in the United States. Teaching artistry tools are intended to provide artists and musicians with the skills to reach further into society and create opportunities outside of the studio or concert hall. Course convener Ko Ne Myo Aung told The Irrawaddy that a teaching artist is someone with entrepreneurial skills who advocates for the arts and builds communities. 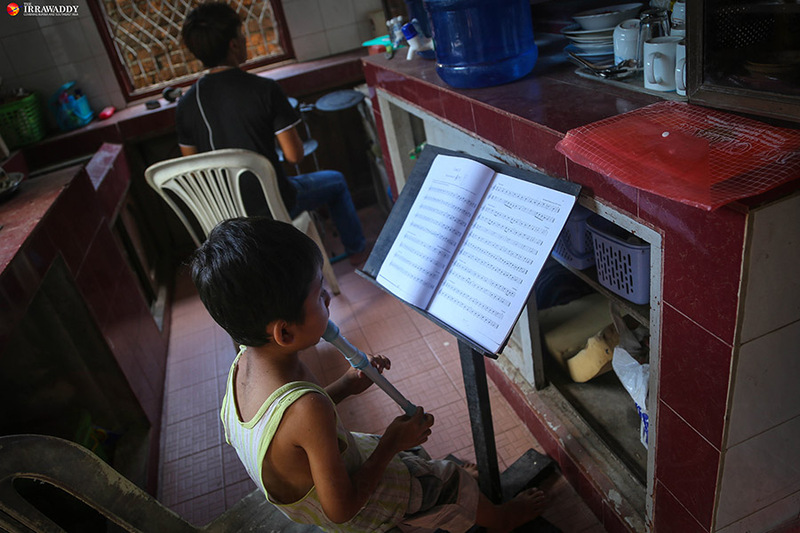 “Teaching artistry gives a way for us to promote what we are doing and to educate people; to encourage awareness of what music is and what music education is,” he told The Irrawaddy in the one, small, air conditioned office in a corner of the library. 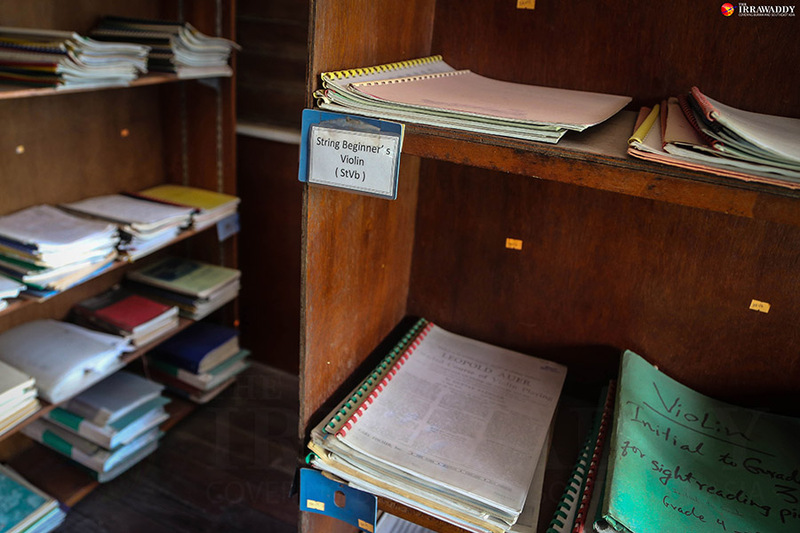 Ko Ne Myo Aung is also the center’s librarian—Gitameit’s busy staff wear many hats—and was painstakingly digitalizing colonial era vinyl records when we visited. “We probably have the biggest musical archive in Burma,” he said, casually, as he moved a pile of records off a chair for me to sit down. Ko Uyoe Yoe, one of the 25 students on the teaching artistry course, said the experience had brought him out of the classroom to engage with the Rangoon community through visits to libraries, schools, and private enterprises. The students The Irrawaddy spoke to were buoyed by a recent visit from Eric Booth, a US educator and author who is widely regarded as the father of teaching artistry and who consulted on Gitameit’s new curriculum. Eric Booth, author of “The Music Teaching Artist Bible” which is being translated into Burmese as a resource for Gitameit, said he was impressed by the students’ courage. “We spoke of entrepreneurialism as a natural expansion of artistry, as the wish to take their passion beyond excellent performance skills into creating new opportunities to connect with audiences,” he said, noting that this often pushed students beyond what they had previously been taught. 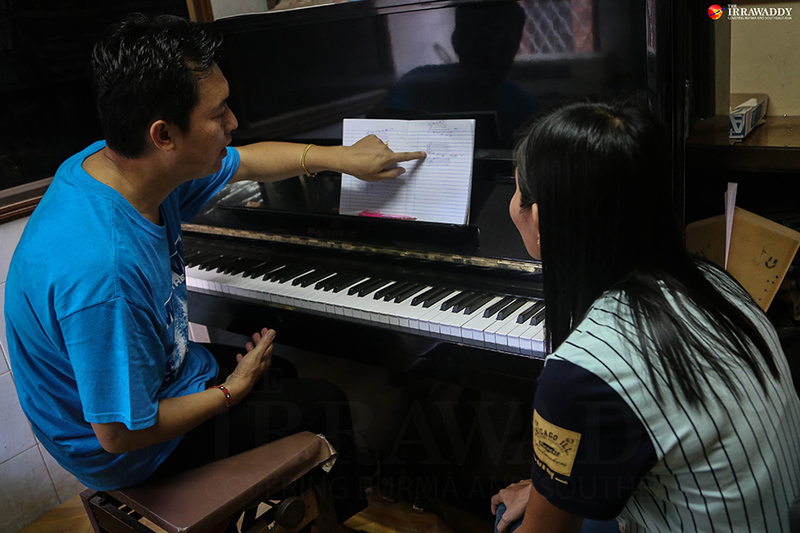 The teaching artistry program is just another step in Gitameit’s grassroots approach to promoting and protecting music in Burma for nearly 15 years. 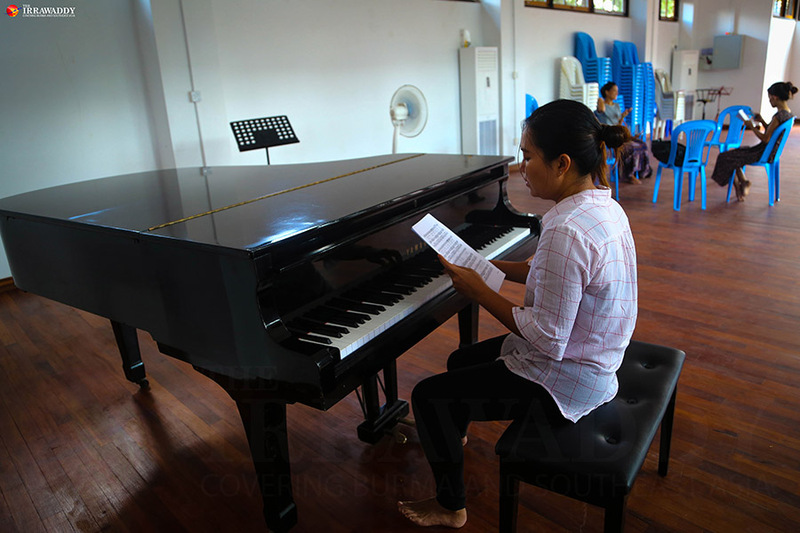 “We have actually been doing teaching artistry since the beginning, we just didn’t have a name for it,” said pianist of Burmese sandaya Kit Young, one of the driving forces behind Gitameit who launched the community project alongside U Mon Naing and Tayaw U Tin Yi in Chiang Mai, Thailand, in 2003. “We wanted to open up civil society space. Music was a way the Burmese could do projects with embassies, with companies and help our younger musicians,” Kit Young said of Gitameit’s inception. Gitameit, she said, was a direct response to the repressive government that Burma was under—a government that showed little or no investment in cultivating the arts and often stifled creativity and communication. The Irrawaddy asked Kit Young if music in Burma, and traditional music in particular, was safer now in the hands of Burma’s civilian government. “It’s always at risk, always,” said Kit Young, citing this fact as another reason for the new teaching artistry course that includes mandatory modules on traditional music. Importantly, Gitameit wants to expand the government’s narrow view of traditional Burmese music to include the ethnic music of Burma from Shan to Arakan State. Gitameit’s students come from all over the country, often on scholarships, and teaching artists will be challenged to travel to the four corners of Burma to work with local musicians. There are tentative plans for cooperation with the government, but teaching staff are very cautious in its optimism—a sign of a long history of tension, broken promises, and missed opportunities. Kit Young mentioned a recent meeting she had with Rangoon chief minister U Phyo Min Thein where they discussed having Gitameit’s musicians bring the city’s museums and galleries to life with concerts and performances. State support or no state support, Gitameit is evolving from community music center, to both a Higher Education College and a social enterprise. The center has plans to work as an agent to traditional musicians, promoting their skills and expertise. Kit Young also told me of moves to capitalize on the uplift in foreign tourists visiting Burma. She wants to immerse visitors in the hidden world of traditional Burmese music with unique performances such as the renowned hsaing waing, an orchestra of gongs and drums. Rik Glauert The Irrawaddy Rik Glauert is a Copy Editor at the English edition of The Irrawaddy.